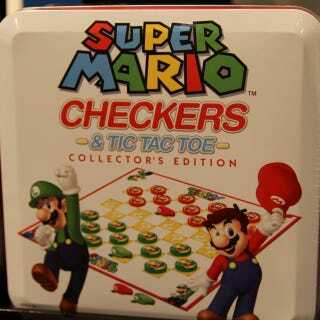 The USAopoly people, who sell Donkey Kong Jenga, now also have a Mario version of a card-flipping memory game. It includes power-ups. The puzzle on the left is old. The one on the right is coming soon from USAopoly. There are lots of radio-control car sellers at Toy Fair. Therefore there were some Mario ones. Here's Yoshi from Goldie International. And here's RC Car Mario. Also from Goldie International.